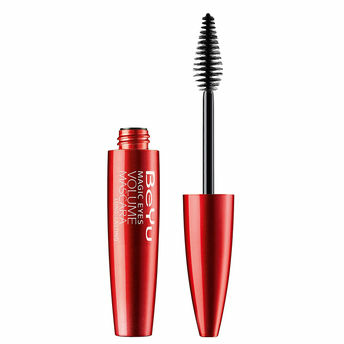 Take your eye makeup a notch higher with the BeYu Magic Eyes Volume long-lasting Mascara. It comes with a special tapered three-pole high-tech brush with short and long fibers for an expressive and magical glance. Dramatic volume and hypnotic swing. Tapered three-pole high-tech brush: short and long fibers. Perfect long-lasting results up to 10 hours.